The owners of Parkgate Shopping in Rotherham have developed plans to create another 40,000 sq ft of retail space within an existing unit at the popular retail park. Ranked in the top five retail parks in the country, Parkgate Shopping has 561,530 sq ft of retail and restaurant space and attracts eight million visitors per year with stores including Morrisons, Marks & Spencer, Primark, Next, H&M and TK Maxx. In a transaction worth around £175m, BMO Real Estate Partners (BMO) acquired Parkgate Shopping in September 2015 from the Hercules Unit Trust (HUT). 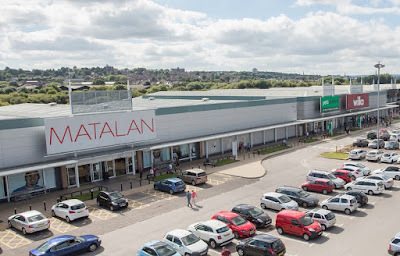 Now Interest Trustees Ltd & Spread Trustee Company Ltd (as Trustees of the Rotherham Unit Trust) have submitted details of proposals to create a new mezzanine level inside the existing unit that is currently occupied by fashion and homeware retailer, Matalan. The covering letter outlines how the owners believe that they can install the new mezzanine, which would create an additional 39,611 sq ft of retail space, without actually needing to receive planning permission. Agents Lichfields, state: "It is material to the determination of this planning application that the applicant has "begun" the installation of mezzanine floorspace totalling 3,259 sq m within the unit prior to the relevant Development Order coming into force. Therefore this level of mezzanine floorspace is capable of implementation, and reconfiguration, without requiring further planning permission. This therefore establishes our clients "fallback position" in respect of this application." Changes to national planning legislation in 2006 included an exemption for the completion of mezzanine floorspace where work had "begun" before the development order was made. The application includes contracts, building control documents and photos showing that work had "begun" back in 2005 before the work was suspended. The owners are applying for 3,680 sq m but in any case believe that the planning legislation allows them to install the "protected" mezzanine floorspace of 3,259 sq m and then undertake separate works to install the additional mezzanine floorspace sought of 421 sq m in 200 sq m parcels without the need for planning permission. The agents add: "The planning application proposal does not seek an increase in retail floorspace above what is "protected" and then capable of implementation without planning permission being required. However planning permission is sought for the applicant's preferred mezzanine in the interests of speed, cost and sustainability." Similar approaches to installing mezzanine levels have previously been accepted by Rotherham Council for the Primark and H&M units at Parkgate. The application does not make clear which retailer will use the additional space if and when the mezzanine is completed. In other UK retail parks, Matalan has sub-let space to other retailers, including Farmfoods and Carpetright.